Flipping burgers is something Burger Burger has triumphed. We’ve trusted them with hunger busting burgers for lunch and dinner but things are changing up a bit. Burger Burger is taking on Brunch. Intrigued? 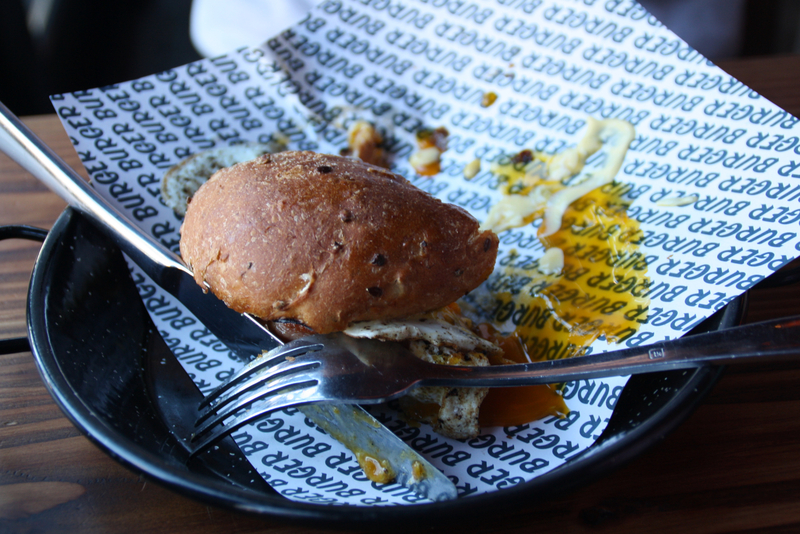 So was I, which made me one of the first at the Newmarket store to get my hands on a brand new breakfast burger. Your staple breakfast choices have been taken care of and are sandwiched between a melt-in-your-mouth 5 grain bun. Literally putting breakfast into a bun is the bacon and egg burger. Constructed with free range bacon and eggs and a hollandaise sauce, you really can’t go wrong with this option. Although, if you’re looking for something a little bit sweeter in the morning, The French and Maple Burger could be the one for you. Combining maple bacon and a grilled banana, savoury meets sweet and you meet something worth ordering twice. And what would be breakfast with out a coffee? Ensuring that your burger doesn’t go solo, Burger Burger brews a crisp Eight Thirty filter coffee in light blue ceramic and clay mugs. 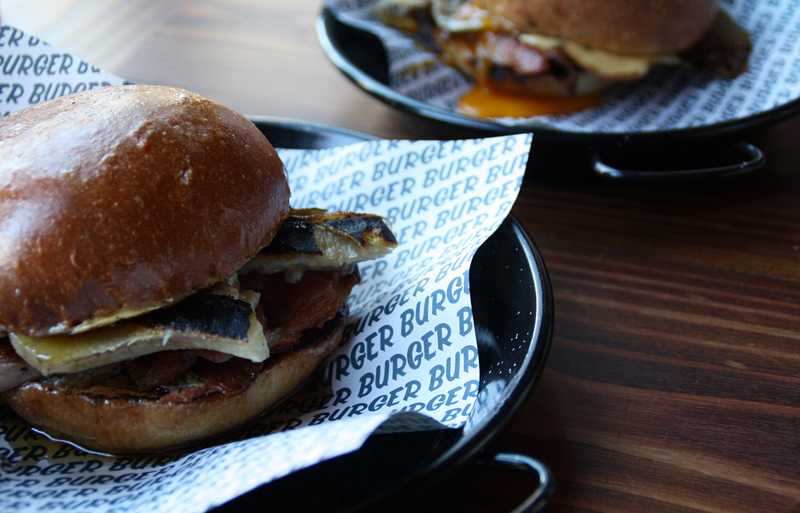 Available in both locations between 9am – 11 am every Saturday and Sunday, Burger Burger has your breakfast is sorted. Yum! I like the idea of a grain bun for breakfast. I wouldn’t go for that option for dinner, but for breakfast, it makes sense. I’d hit this one up!